The king is having a huge birthday celebration! Five days of dancing, festivals, and drinking, culminating in a grand masquerade ball. 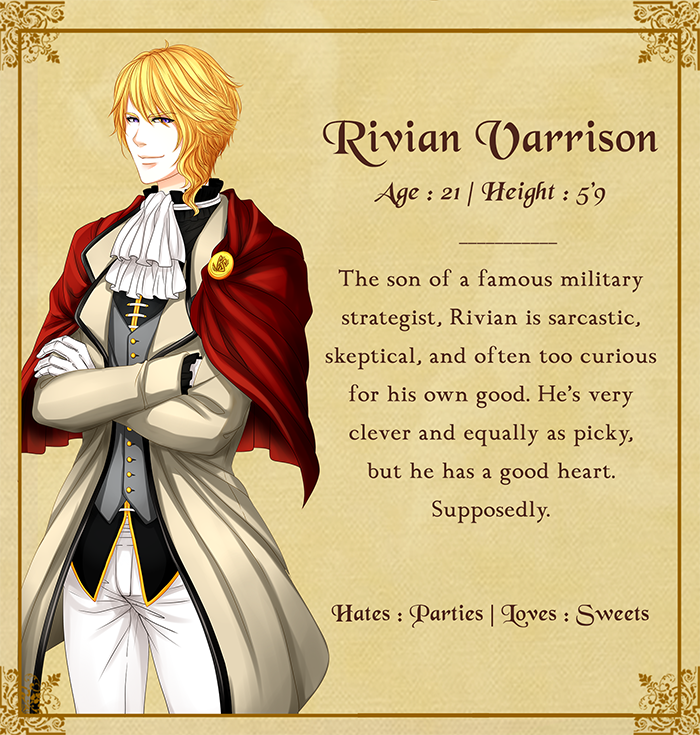 It just so happens that Rivian Varrison, the introverted son of a famous nobleman, is forced to attend this giant event by his father. By chance, or maybe something more deliberate, he runs into a host of colorful and shady characters, all with their own stories to tell. But when a sudden and mysterious crime happens on the second day of the celebration, Rivian finds himself thrown into the middle of it, and has to discover the truth behind what really happened -- and who the people around him really are. -Does this game sound intriguing to you? Why or why not? -Do you usually play BL games? -Which character appeals to you the most? -What scene/aspect was your favorite? Your least favorite? Why? -What was your impression of the atmosphere? Did you enjoy it? Any responses are very much appreciated! Last edited by Dovahkitteh on Sun Dec 24, 2017 3:31 pm, edited 26 times in total. 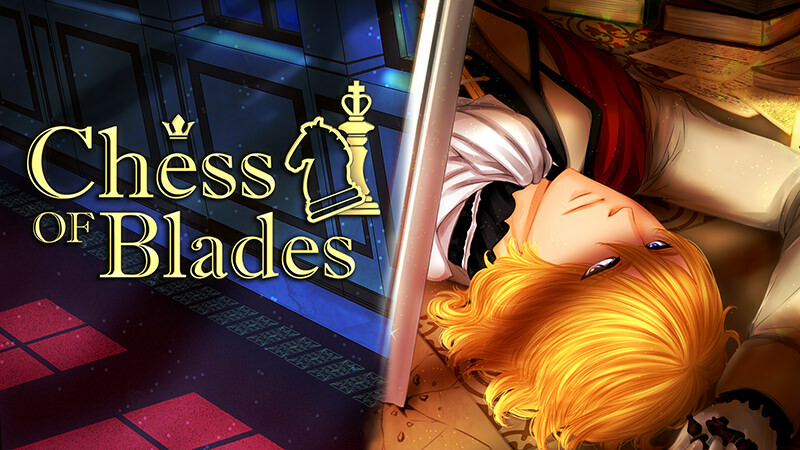 Does this game sound intriguing to you? Why or why not? It does. 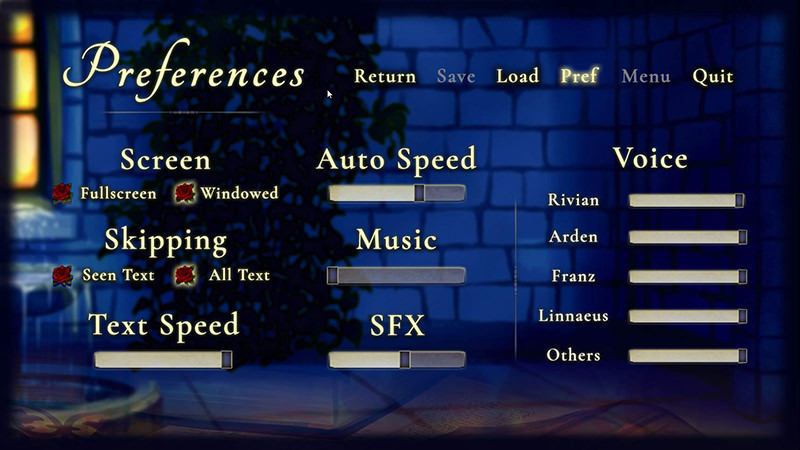 I'm an avid BXB VN player so it's kind of a no brainer. I also like courtly intrigue stories, and so far the art looks really good. 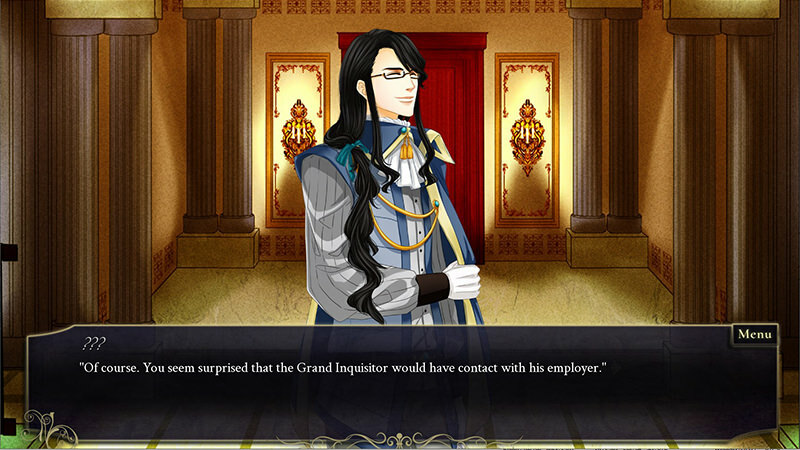 Both the character and background art. Do you usually play BL games? Rivian, actually. He hates parties and loves sweets, I relate to that so much. But if you mean love interests then Arden appeals to me the most. He seems like the nicest. I bought and played Requiescence, and I gotta say, it seems like you really stepped up your game. Presentation wise the game blows it's predecessor out of the water. I'm very impressed! Yes! Very:) i played Requiescence and really liked it, but i admit this one seems even more interesting whats with that gorgeous art style! yep. though i enjoy all kinds of games that has any lgbt characters in it and the more the merrier, not just one token. Last edited by MilanaWalters on Thu Feb 16, 2017 1:23 pm, edited 1 time in total. I'm with Milana on this one. 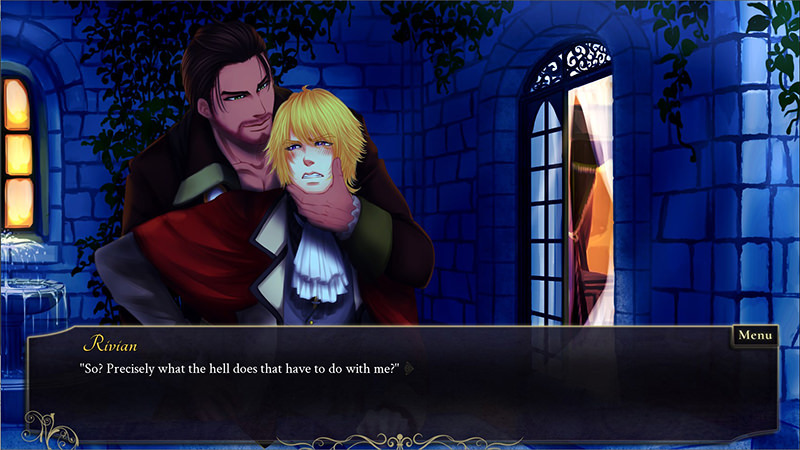 A lot of BL games and otome games that I see have a habit of always making the protagonist the youngest and shortest character (you did this in Requiescence, too). I'd like to see some more variety with that. I'm going to be the contrarian and disagree with the other two posters. I don't get feminine vibes at all from Rivian. 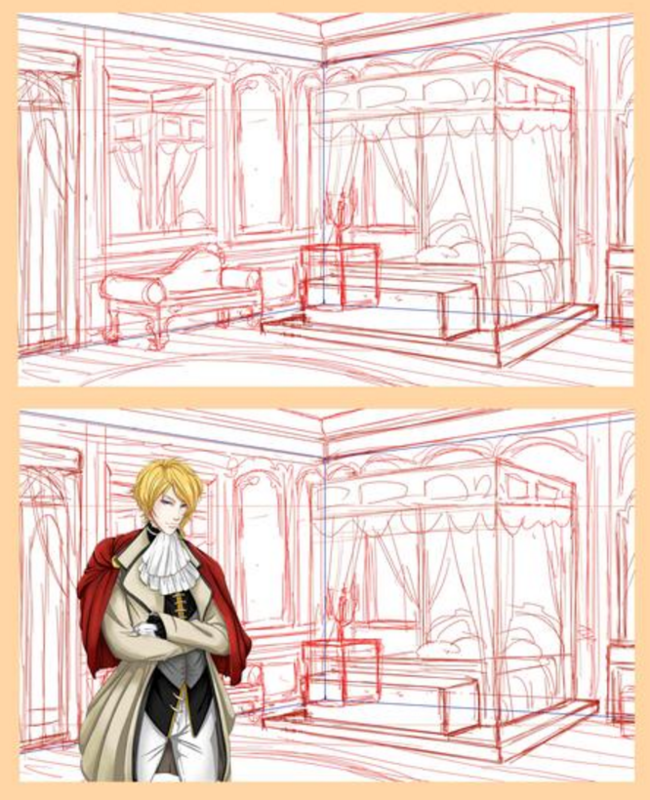 His angular face, blonde hair and pose give more of a bratty, snobbish noble then anything else. I get the feeling it's a good story but the summary makes it sound more vague/generic than it is. Wish I could help in this department but I'm ESL and not a great writer. No. Too many straight girls fetishizing gay men and calling it diversity. Not saying it applies to your game, just the reason I don't usually play them (and I'd love to be proven wrong more often). Arden. I'm a sucker for knight types. Also Rivian is highly relatable. The art is very good. Shoutout to the costume design which looks diverse enough while looking like it belongs to the same setting, as well as suits the characters. That said, at first glance I got the impression they all look the same because of the poses. Body language is as important as facial expression, if not more, in relaying character, so would be nice to see more than just different arm posing. 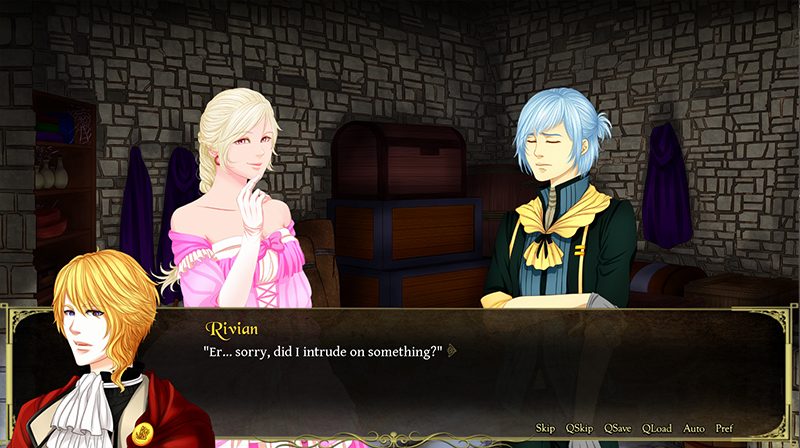 I don't think Rivian looks feminine in the slightest. Like CosmicFan said, I think "His angular face, blonde hair and pose give more of a bratty, snobbish noble then anything else." Lastly, this is a controversial topic in that many people don't find it all that important, but I think you're lacking in the graphic design department for a group in their second Kickstarter. Decorative fonts are great, but for longer texts like character descriptions, they're tiresome to read. I'd go with a classy old style serif instead. The logo, unless it's a placeholder, is in need of reworking too, like the jagged edges of the sword, the colors--the similar reds are making the B blend into the sword--and the way the effect is different between each word. I believe the idea was make it all like it appears in "Blades"? I hope this helps in some way. Best of luck with dev & KS prep! In response to CosmicFan and rito: I agree that he's not overly feminine, but in comparison to the other two revealed love interests, he doesn't have that same square jaw that they do, and his hair is a little longer (generally a feminine trait). And either way, my complaint about him being the youngest and shortest still stands. First of all, thanks to everyone for your awesome feedback! We really appreciate hearing from you guys. 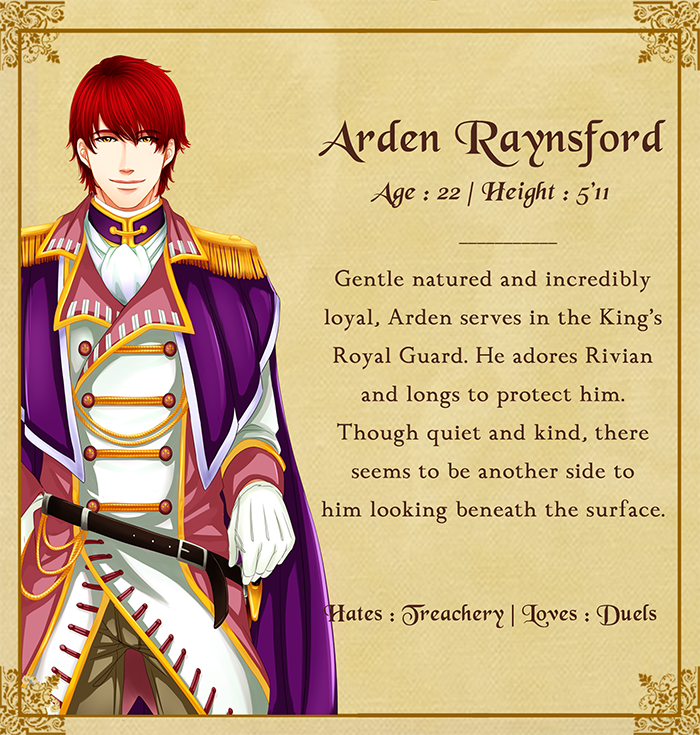 Regarding Rivian: His character design was indeed intended to be that of a posh and somewhat dainty nobleman; "pretty and haughty features" is how I put his description for our artist. He may look a little feminine as a result, but that's up to the viewer's interpretation! 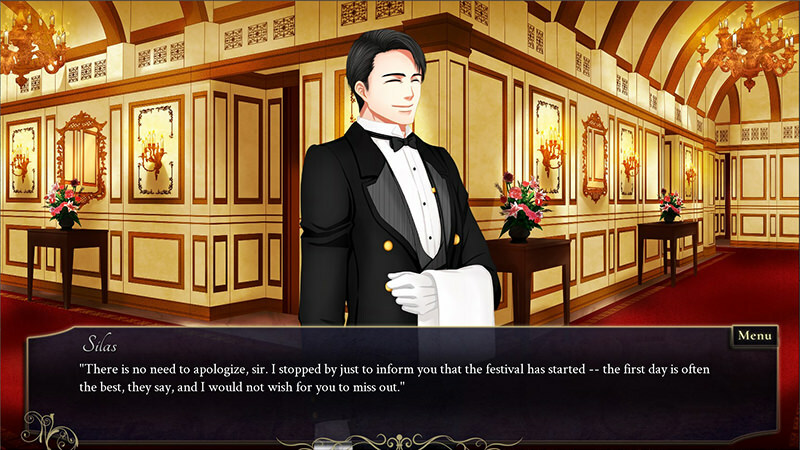 As for him being the youngest, that also has a story component -- it's his first fancy ball all by himself without his family, and he's finally of marriageable age! Incidentally, the level of experience these characters have is not necessarily correlated to their ages, as Rivian stands toe-to-toe with most of them (and outdoes some others). @rito: Our graphics here are mostly placeholders, and we're definitely going to do some tinkering with them before Kickstarter. Just wanted to get the thread up so we could get some feedback. Thanks for the detailed comments Also, in terms of the fetishizing trope, we're attempting to break the mold some with a few fun female characters and a focus leaning more towards mystery and intrigue (although romance remains a significant component). First off, I'm excited for your VN. You've really upped your art game since Requiescence! And it's not like that was anything to scoff at! 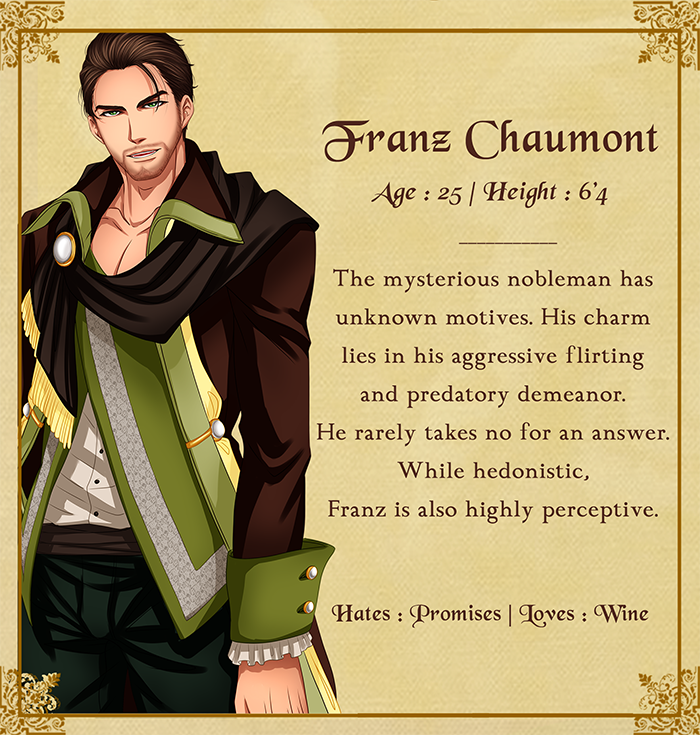 Personally I can't seem to find myself able to pull away from the idea of pursuing Franz, even though he's obviously the worst (as in bad boy/difficult) choice at 1st glance. Arden looks like he might be evil to me. I think there's something in his eyes... 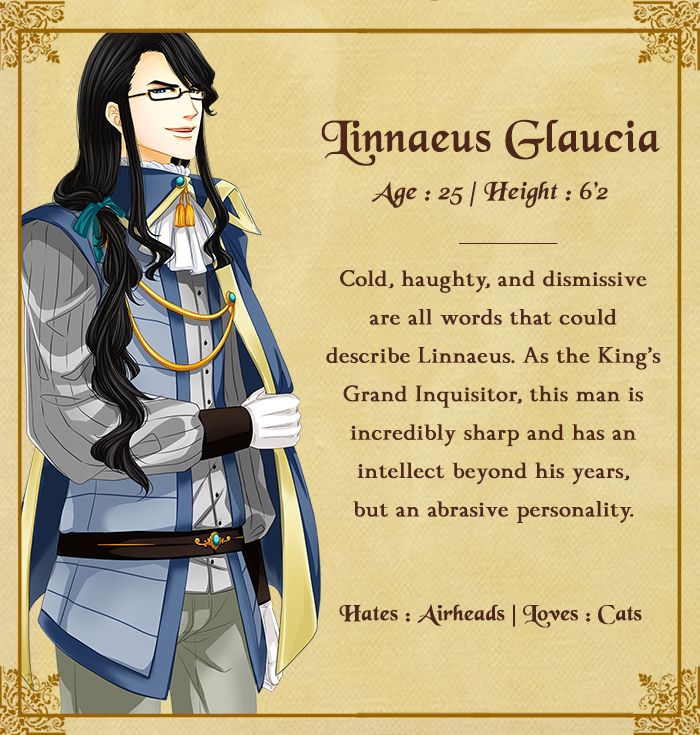 So although i find his character design appealing, I'd probably keep my distance from him. As for tropes I think the setting you have and the fact that this VN isn't a slice of life kinda deal is already enough to ensure it won't be stereotypical. The mystery aspect sounds fascinating and I'm wondering how you'll leverage that. illuminate001 wrote: Arden looks like he might be evil to me. I think there's something in his eyes... So although i find his character design appealing, I'd probably keep my distance from him. Huh, really? I'm getting more of an "I'll cut you if you mess with the people you love but otherwise I'll just be cuddling" vibe from him. Zelan wrote: Huh, really? I'm getting more of an "I'll cut you if you mess with the people you love but otherwise I'll just be cuddling" vibe from him. Heh I hope you're right actually. Also in his description the "there seems to be another side lurking beneath the surface." part is very telling. 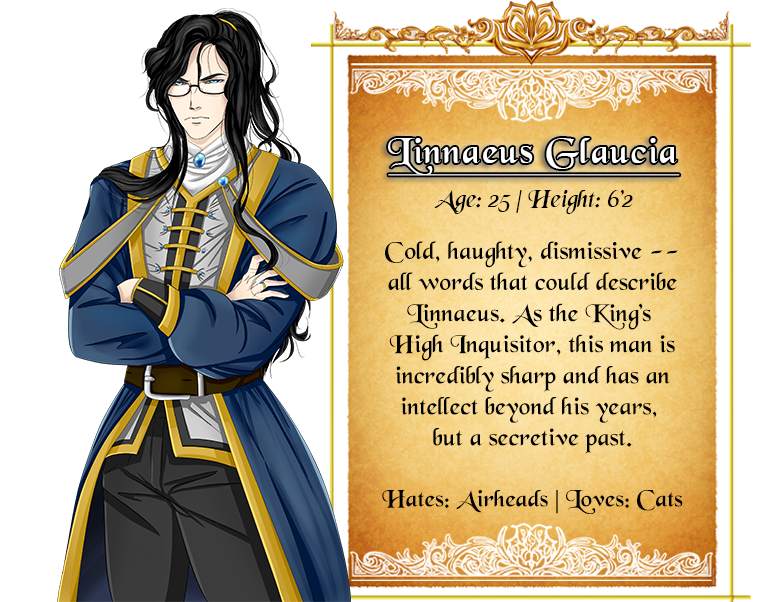 His whole description up to that point is very loyal, warm, kind so I feel like "another side" must be a counterpoint to those good qualities. Also choice of words..."lurking", lurking is like "festering"...its never good so it has to be something bad. I hope Im wrong tho Zelan! I guess I'll have to wait and see what Linnaeus looks like. Altho his desc already puts me off. I don't like chasing after tsundere characters. Well..they have to be the *right* kind of tsundere. lol. Thoughts? Comments? Thanks again to everyone who's posted so far! YES! I like a lot that you combined the medieval esthetic and a crime related plot. Franz Chaumont, how he is visually it's what I like the most, really cool. In which platforms do you plan to release the game, and when? @Albert -- thanks for the reminder, and the comments! I'll update the post with the details of platforms and release date. If you're interested in trying out, or know anyone who might be, share the word! It really does. A high society mystery, not something you see very much anymore. I do. I beat Requiescence in 3 days and absolutely loved it. But I really enjoy BL games. Rivian. He seems like the type to not take any sort of crap from people, especially ones he's getting to know. The characters sound very intriguing as does the story plot.